We beat the Windy weather this week and installed a 5.6 kW peak system fully Solar Edge optimised. 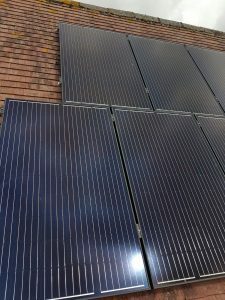 The Solar Edge 3680 HD Wave inverter allows us to install up to 5.7 kW’s of Solar PV onto a single phase domestic supply without having to apply to the DNO. 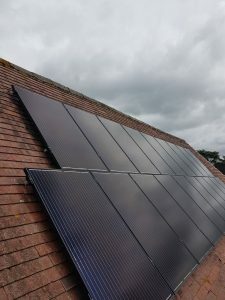 The Solar Edge optimisation means that the inverter will not just be looking at the panels as one string but individually so that you benefit from greater generation! 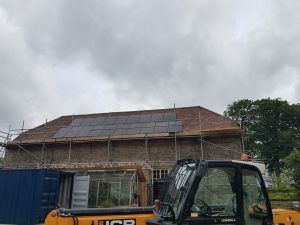 We are currently awaiting the arrival of a Tesla Powerwall 2 for this installation so the customer will also benefit from Battery Storage.